How good are you really at multitasking? 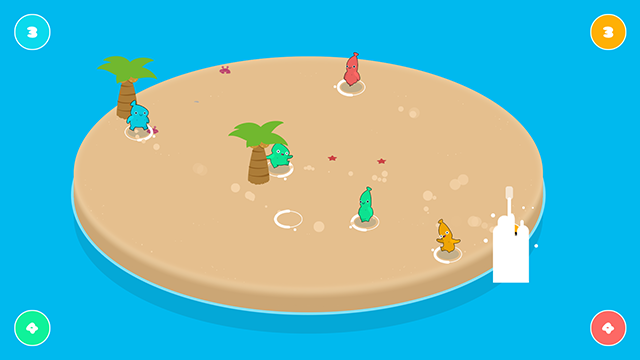 Control 2 characters with 1 controller and push your friends into the ocean! This game requires controllers/gamepads with 2 sticks! Each side of your controller controls 1 character in your 2 buddy team. The stick for running, and the shoulder-button for pushing. 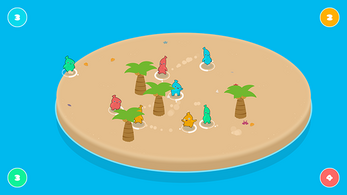 Push others of the island to score points while trying to keep your own two buddies dry. Play with up to 4 people or against the computer.